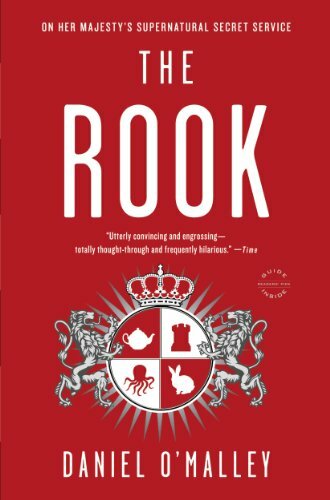 Alex (Grade: A) This is my first book review, but I really liked the rush and intrigue that the Rook gave me, its a mystery/action/fantasy that will take hold of you and not let you go until you've found out what has happened. willthinks (Grade: A) This is a very well conceived and delivered first novel. i have already read this book 3 times, and I will probably read it again very soon. I greatly enjoy the world that Mr O'Malley created for this book. A hidden spy agency of super humans helps defend England from the forces of evil...Do I really need to say anything else? gwembel (Grade: A–) Imaginative and humorous. Gets better as it moves along.